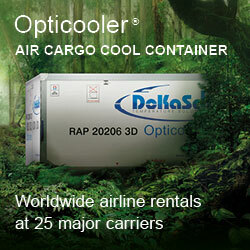 The German cargo airline intends pioneering a new market segment by launching a product named ‘myAirCargo’. Simultaneously, the management intends revitalizing the transport of standard freight that had been neglected in the past. These and other plans were tabled at the annual press conference last Friday that was shadowed by sobering financial figures presented by LHC. LH Cargo’s glass remains being half-full despite rather disappointing traffic and financial results achieved in 2015. 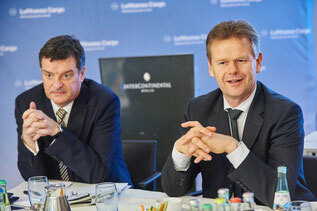 The optimism for a more prosperous future is nourished by two main strategic decisions: the cost savings project ‘C40’ that is supposed to improve annual earnings by €40 million from 2018 on and their ‘Lufthansa Cargo 2020’ program to enhance efficiency, spur further growth and capture additional market shares by introducing tailored products. One initiative standing quite high on the agenda is their new product ‘myAirCargo’ that offers travelers the option of booking their own personal items as air freight by using a specific app which leads to LH Cargo’s booking mask. The entire process is rather simple and will be internally tested in the months ahead by the airline’s 120,000 staff, prior to launching it officially next summer. “You want to take a biking tour on the legendary route 66 across the USA? In that case just buy a ticket and book your motorbike to accompany you as an air freight shipment and we together with local forwarding partners will take care of the rest,” illustrated CFO Martin Schmitt the procedure. Thanks to the new product, “passengers and other individuals will soon be able to send any kind of personal item via air freight, quickly, simply and cost-effectively,” assures the airline in their release. CEO Peter Gerber pointed out another initiative. LH Cargo will put their focus on the revitalization of general cargo, the bread and butter business of any freight airline. When questioned by CargoForwarder Global he admitted that this basic product has been neglected lately whilst concentrating on special segments like pharma, express and others that offer higher yields. Currently, they account for about 20 percent of the carrier’s revenues with not much change in sight. This, because standard air freight will regain market shares after LH Cargo has unveiled a new concept, as indicated by Peter. “It will be an offer to very favorable conditions,” he said. Currently, the concrete features are developed with the product launch intended in mid-2016. 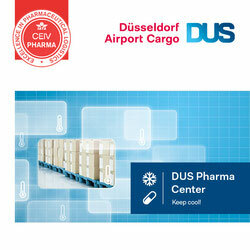 last but not least the modernization of its cargo center at Rhine-Main, after construction plans for a brand new terminal had to be shelved due to overwhelming costs for at least two years. However, beginning in the second half of this year, the plans for constructing an LCC Neo will be put on the agenda again, Gerber indicated. Despite the fact that 2015 was an extremely challenging your, “we expect that our product innovations and ambitious savings program ‘C40’ will provide sufficient tailwind to not only facilitate sustainable and profitable growth in future but also to retain our leading position as number one freight carrier in our European home market,” stated the CEO. It can be assumed that he and his management have come under some pressure by parent Lufthansa as a consequence of the meager results achieved in 2015. The cargo results for 2015 which were presented last Friday, were indeed very sobering. Lufthansa Cargo only achieved an EBIT (earnings before interest and taxes) of a meagre 3 million euros. This is a dramatic fall on results posted for 2014 where the cargo daughter of the Lufthansa concern showed an EBIT of 123 million euros. The figures also show that there is an adjusted EBIT picture of almost 74 million euros, but this is still 40 percent below that of the previous year (123 million euros). Operating revenues dropped by 3.3 percent to 2.355 million euros. The overall cargo load factor went down by 3.4 percent and actual sold freight tonne kilometers by 3 percent. The carrier states that after a good first quarter, demand throughout the worldwide network decreased dramatically, affecting load factors, revenues and yields. On top of this, LH Cargo suffered heavy from the downfall and turbulences in the Chinese market. Another deciding factor for the weak results were the continued strikes by Lufthansa pilots and cabin crews throughout 2015. This seriously affected revenues as much of the carrier’s cargo is flown in the holds of its long-haul passenger fleet. There was a one-time so-called impairment sum allocated for the now dormant LCCneo project which was aimed at erecting a new cargo handling facility at their home base, Frankfurt. This lead to pushing the end result down even further. As mentioned above, CEO Peter Gerber stated that the company would stick with the Cargo 2020 strategy in spite of the decline in profits. The C40 cost-cutting program is essential to bring costs down even further and contribute to future profitable results. The Europe & Africa and The Americas regions are to get new area managers as well as the appointment of a new Head of Global Handling Management. 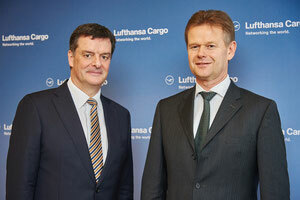 Achim Martinka who since 2010 has been responsible for LH Cargo’s activities in North and South America, will as of 1. June be responsible for the sales and handling activities in the Europe & Africa region. Bernhard Kindelbacher will move on the same date over to Atlanta and take up the position of Head of Area Management The Americas. Kindelbacher has been in charge of Strategy, Subsidiaries & Business Development at Lufthansa Cargo since 2010. Last, but not least - Dr Jan-Wilhelm Breithaupt will take over on 1. April from Thilo Schaefer who left the airline in February, as the new Director of Global Handling Management. Mr Breithaupt has been with the German carrier since 2010. He earlier had served in Lufthansa as Director Global Passenger Processes and lately was in charge of Global Handling Development & Solutions.